Author: J H Haynes & Peter G Strausman for the Haines Publishing Group JAGUAR & DAIMLER Owner's Workshop Manual based on stripdown & rebuild. Publisher: Haynes Pub. Group,1990, 13 chapters, 6 appendixes, index, b/w line drawings, diagrams, figures, b/w photos, detailed text. Condition:Crisp hardcover with no grease stains, some notes in pen to the title page, slight age-toning to ROBUST pages, in GOOD CONDITION. Condition:Crisp red cloth-bound hardcover small quarto, no inscriptions, dymock's vintage sticker to frenpr., TIGHT, WHITE & CLEAN in VERY GOOD CONDITION in a GOOD DUSTJACKET which has been clipped. Description: The full, dramatic flavour of the Grand Prix Circuit in 1967 is told by the drivers in their own words. Author: Shane Birney with the co-operation of General Motor's Holden in Australia. Publisher: Golden Press, Sydney, 1988 printing, 9 chapters, 160 pp., colour & black & white photos, index. Condition:Crisp photo-illustrated hardcover with title to spine & front cover, STRAIGHT, TIGHT & CLEAN in GOOD CONDITION with a small bump at crown of spine. Description: A complete history of the HOLDEN motor car, from its early beginnings by James A Holden in 1856, through to the Holden & Frost period, and finally to the "amalgamation" with General Motors of the USA. With photos of every model & style. Condition:Crisp card-bound cover boards with bright title to spine & front cover, STRAIGHT, CLEAN & TIGHT in GOOD CONDITION with a few very minor marks and rubbing. 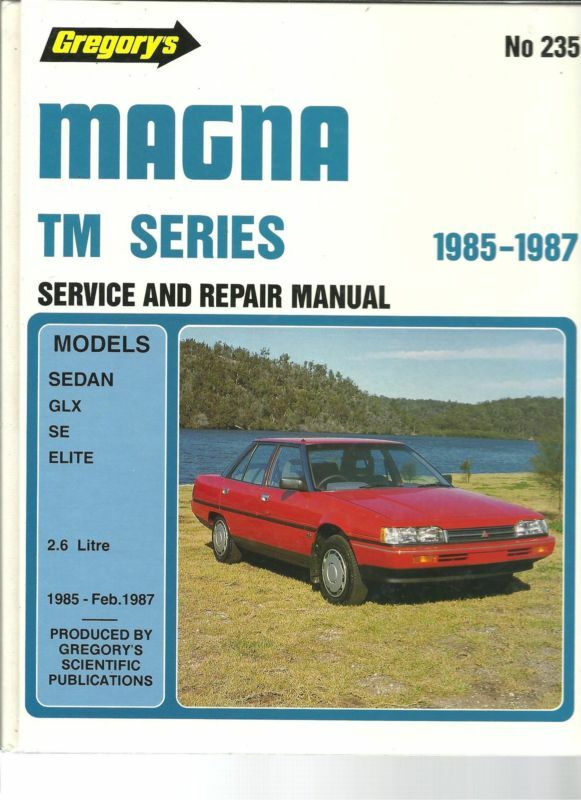 Description: The authoritative Service and Repair manual from the reliable Gregory's Automotive division. A complete reference.